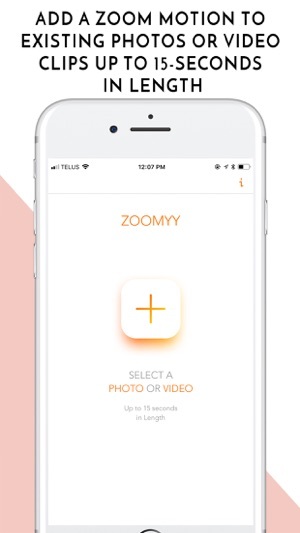 Zoomyy (with two "Y's") is the ONLY app of it's kind. 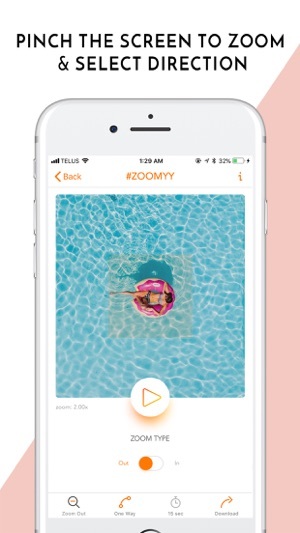 Made specifically for Instagram stories, Zoomyy brings you clips to life by adding a zoom motion to them, helping you stand out! Join the thousands of video Influencers have been adding this motion to their clips manually for years - now it's accessible to everyone without the hassle of using expensive video editing software on your desktop. 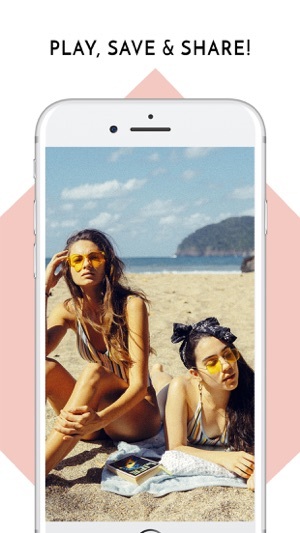 Our app is perfect if you want to add motion to your photos on Insta, Insta stories, ads, facebook, etc. Our simple & easy to use app allows you to add a zoom motion to your clips in seconds!! - Pinch the screen & use the orange square to set how much you want to zoom in/out. - One way or mirrored. When it's mirrored it will zoom in and then back out again, kind like a boomerang. -Save the clip or upload straight to your favorite social media & messaging platforms. Questions? You can reach us at hello@zoomyy.com or @Zoomyy_App on Instagram. 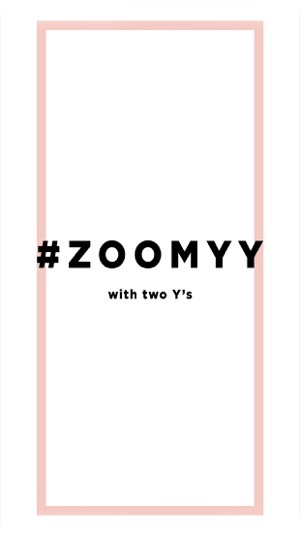 #Zoomyy (with two Y's). pirchased the app several months ago. recently they have an upgrade but i decided not to because there’s no new feature and i have an old iphone 5s. suddenly the app stopped working with a note stating some kind of an error. so i was forced to upgrade this afternoon. everthing’s working again except that my videos now contain a huge watermark located almost at the middle. they want me to PURCHASE AGAIN ($1.99 yearly subscription) to remove the watermark. there’s no way im gonna pay for a simple zoom effect. there’s lots of apps there way way better than this where you can choose the start and end point of your zoom. 9/10 this app makes life so much better. If you ever felt the need to add a zoom effect to either pictures or video clips this app is going to take care of all your issues. You can easily snap a picture or video and add a zoom feature in as a little as 5 minutes. Overall this app is fantastic and a perfect addition to anybody's phone who likes taking pictures or video. True, it serves a single purpose - zoom in or out of pictures - but the execution of this is basically flawless. As a bonus it has just about every feature you could imagine. It is a quick download too, so if you have the need for zooming in pictures and short videos, this is the obvious choice. Thanks for the review, Casperthegoth!